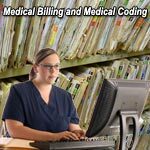 Medical Billing and Medical Coding Services: No job is too large or too small! Our trained billing professionals will provide you with consistent quality services within the specified turnaround time and that too at truly competitive rates. Why outsource Medical Billing and Medical Coding? For today's practicing physician, there is so much to do. Instituting, upgrading and perfecting electronic billing processes. Keeping abreast of all the new medical coding requirements. Billing and collecting enough to stay profitable, but not so much as to incur an audit by the federal government. Finding ways to stay compliant with the new standards without completely disrupting your office and re-designing most of your processes. Not to mention completing paperwork on each patient that is now estimated to take an average of 30 minutes per patient. There are many compelling reasons why Medical Billing and Medical Coding outsourcing to a professional Medical Billing and Medical Coding company, like Star Medical Services makes sense. These factors, especially federal and state regulations, have greatly increased the need for experienced and certified coding and billing professionals. Private practices, clinics, emergency department physician groups and hospitals simply cannot afford coding mistakes, yet most do not have the time or staff to properly and accurately bill those patients, in turn creating a demand for outsourced Medical Billing and Medical Coding companies, like Star Medical Services. Healthcare has become one of the fastest growing outsourcing medical billing industries in the World! This growth leads many hospitals and practitioner to outsource their Medical Billing and Medical Coding reimbursement requirements. There are many large and small outsourcing Medical Billing and Medical Coding companies offering a range of services. But when it comes to your Medical Billing and Medical Coding don't trust it to just any Medical Billing firm. At Star Medical Services, we offer highest quality, professional Medical Billing and Medical Coding services to any physician across the world. We are not only knowledgeable about the business challenges that your practice faces, but we also understand the issues that you are dealing with, day in and day out. We are not a typical Medical Billing and Medical Coding company that you may be used to. We are Medical Billing and Medical Coding experts. As experts in the Medical Billing and Medical Coding we take the hassle out of your billing - giving you access to your money right away! If you would like to outsource Medical Billing and Medical Coding requirements to Star Medical Services, please feel free to Contact us. Medical Billing and Medical Coding are two closely related job areas in the general field of Medical Administration. They rely on each other. Thus there is often the opportunity to combine these two fields and somebody who has mastered the skills of both, Medical Billing and Medical Coding can often increase their general job prospects since there will be more job opportunities for them to choose from. Medical billing is the end of medical/hospital administration that deals with billing insurance companies, lawyers and patients themselves for medical services that have been rendered. Most patients are insured either by a private company or by federal insurance programs like Medicaid and Medicare. These companies need a succinct statement of the services and procedures of a health provider, specifics of their insured patient's medical record, information concerning the spontaneous or pre-existing nature of a medical condition and so on. This is all the responsibility of a medical biller. Therefore, Medical Billing is the practice of submitting claims to health insurance companies, to receive payment for medical and preventive care services provided by a doctor or other licensed health care professional. Medical billers usually work away from the public's eye in a claims processing office or billing department of a medical practice, clinic, or hospital. In addition a medical biller works from the other end - at insurance companies. Here the biller makes sure that an insured has paid his or her portion of the cost for medical service (i.e. the deductible) and that the entire medical bill is thus taken care of. Often there are disputes as to what an insured should pay versus what the insurance company is responsible for and the medical biller works to sort out these problems and collect payments. Medical Coding is a more specific focus that deals with same basic branch of medical administrative / office work. In order for information to be transferred easily among the parties involved in a medical transaction, usually health care provider, patient and insurance company, there are various alpha numerical codes used that designate diagnoses, medical procedures, medications (pharmaceutical codes) and even various areas on the body (known as topographical codes). The medical coder is an expert in these codes and makes sure that medical documentation is accurate. Often the coder takes the basic data in a patient's file - the doctor's diagnosis of a patient's condition, what treatment was given both in terms of medical procedures, medications and doctor recommendations and so on and converts all this data into the appropriate codes. Thereafter, the different code groups must be associated together on a single medical document or bill so that accurate cost information can be arrived at. The codes are recognized all across the medical industry, allowing for quick processing of insurance claims, assessment of required payments and general clarity concerning a patient's status. So it should be fairly obvious how these two fields are connected. A medical biller needs either to work with a medical coder or know medical coding himself in order to accurately document medical information. The two skill sets being closely related and interdependent as they are, educational programs often combine medical billing and coding into a single curriculum. Of the two fields, medical coding is considered slightly more highly skilled.